Lately I've been getting a lot of compliments on my hair which is very appreciated because my journey to great hair has been a long and treacherous road. I have cur-ly hair believe it or not, and when I say curly I don't mean it gets wavy at the beach. I mean curls, frizz, frustration and tears. I will take you on my hair journey. This is a typical picture of me as a little girl. I had completely unruly curls running wild. As a girl going through elementary school I just wore my hair back most often. I didn't really care what it looked like way back then. I only cared about my Playground Kids Dolls. 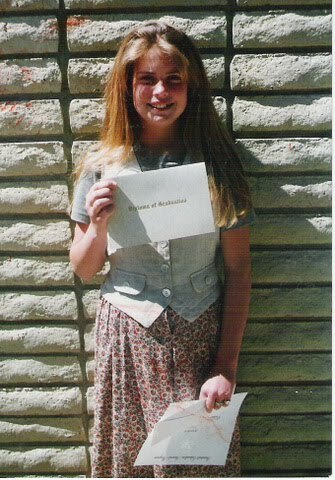 The day of my sixth grade graduation my oldest sister Amber straightened my hair for the first time and from then on I was hooked. Sadly, it didn't look that great most days. It was poofy and frizzy. On rainy days I begged to stay home because I knew that the moisture in the air would wreck damage on my hair. I used to pray that an angel would touch it and make it straight. I am serious, I would kneel on my bathroom floor and through tears, pray to the heavens above for pretty hair. Just goes to show how desperate I was. I would do anything for straight hair. 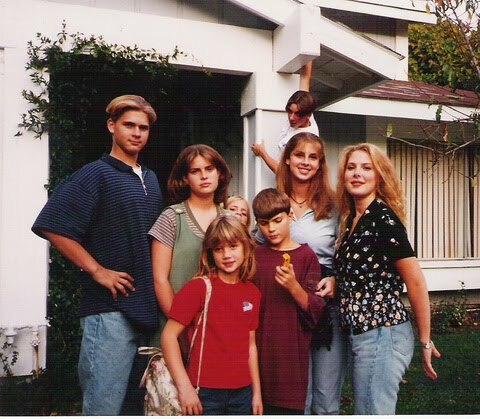 Before the invention of flat-irons, I used to have my mom literally iron my hair. Yes, I would bend over level with the ironing board and my mom would take strands of my hair and iron them straight every few days. Not the healthiest thing, but again I was desperate. If my hair wasn't straightened it was slicked back in a pony-tail. I even had my mom chemically straighten my hair with the products used on African American hair a few times. ...after a heartbreak I did this. I chopped it off! 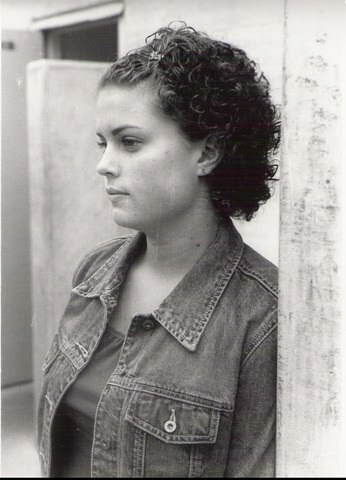 The TV show Felicity was popular, many people said I looked like Keri Russel, so I spontaneously chopped it off thinking I would be able to pull it off too. I was wrong. One of the worst decisions I ever made. Everyone was kind enough to tell me it looked good. But see--that's what curl is. 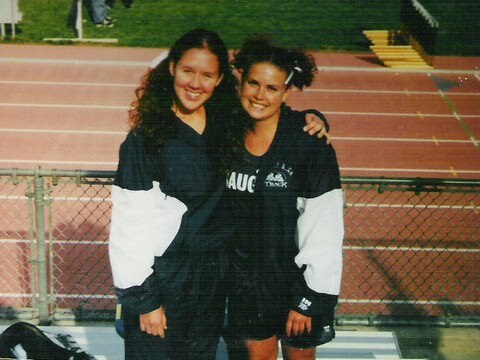 I remember being so annoyed by girls in the bathroom fixing their hair complaining of frizz when they obviously had no clue what frizz really is. Over time it grew out again. I continued to straighten it with a flat iron mostly becuase blow-dryers just couldn't smooth out the frizz. It would just look like a big mushroom was on my head. It often times became unhealthy because the intense heat, but I was willing to take split ends over curls. 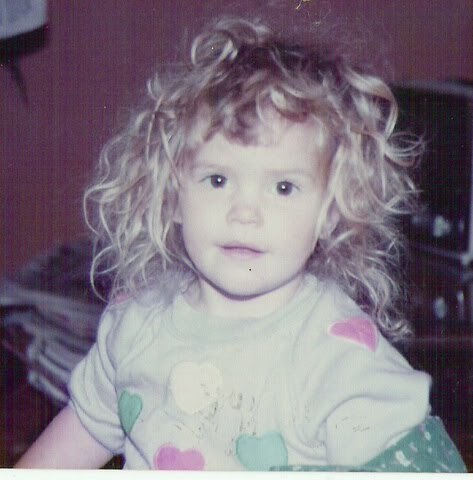 Some days I still wore it curly, but usually only around the comfort of my family. That's me on the left in the picture below. And when I did do it curly I put it up. Eventually, I invested in an expensive, professional blow-dryer. It was the T3 Tourmaline. My life was changed after that. Finally, I found a hair tool that could fight my frizz in the healhiest way possible. I really didn't even need to use a flat iron anymore and the blow-dryer could get my hair silky and straight in less than 15 minutes. It was a miracle. I now use an iTools Whisper Light blow-dryer, which is amazing too. Never did I think that I would be a person to get complements on my hair. I finally have the hair I always dreamed of. I now embrace my big hair. I guess those angels eventually heard my prayers. Big shout out to my hair stylist of the last 5 1/2 years Kathy Iglesias because she has helped me nurture my hair back to health and given me my great cuts and color. I will do a post at a later time about how I style my hair exactly and what products I use. I remember the frustration you felt. I never minded ironing your hair because I knew frrom my own experience how important it was. Now you hair is beautiful as are you! Girl, I TOTALLY feel your pain! I actually didn't mind my curly hair for a while because I found some great hair products for curly hair. Well, the company that made said hair products went out of business and now I am left FRUSTRATED again. My hair looks good on day #1 of styling it, but looks terrible on Day #2 (I think it looks frizzy). I love having it long, but want to cut it so I can style it straight again when I want to. I'll have to look into getting a blow dryer like that! Can't wait to see how you do it! :) Does the blowdryer help it to stay straight all day and not get frizzy, even in moisture? I don't have curly hair like you, but since I've cut my hair short, I've this unruly 'do that I can't seem to do anything about except pull it back in pony tail. I'll post a pic on my blog later today to show you what I mean. I actually LOVE your curly hair! 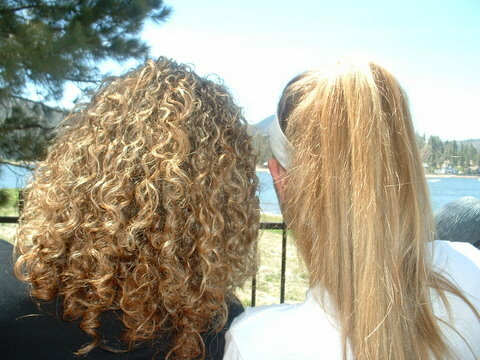 My sister has curls like yours and I have always been jealous of them. Thanks so much for this post! It was like reading my life story, ha! I can't wait to see how you style it too! I must say you look stunning in the pic of your hair pulled back and curly though. I always wanted to be able to do that when my hair was natural but I ended up looking ridiculous. I have been thinking lately that I should invest in a better blowdryer and that might help, so it's good to hear the confirmation from you on that. For the record, I always thought you rocked the Felicity look. Seriously, I thought it was pretty brave to cut your hair that short because I've always wanted to try a super short cut but I'm too much of a wuss. Love your hair and love you girl! !